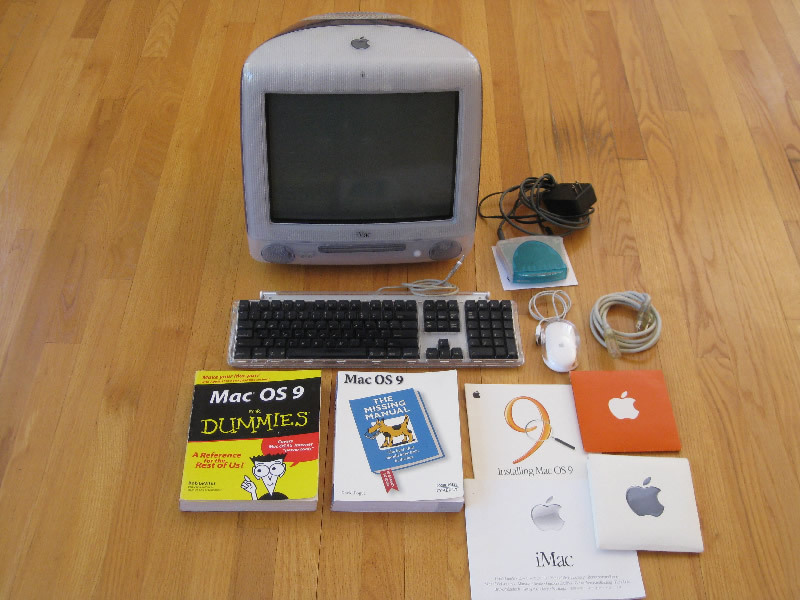 Our first find of 2009 comes from Freecycle, which brings us our first piece of legacy Mac hardware. Overall, we've both had fairly limited Apple experience. Liz had an Apple IIc growing up, and we've both used older models in school a little bit, but that's pretty much it. We've both been Windows users for as long as we can remember, and never had any inclination to "switch" to Mac. Last year, we started looking into the iPhone, and were thoroughly impressed. We bought iPhone 3Gs soon after launch, and we use them all the time. Last month, we both bought MacBooks, and have been equally impressed. It turns out that Apple has been pretty busy since the IIc, and Mac OS X is a very nice operating system. This kind of led us to start reading up on all of the Macs that we missed out on in the past 10-15 years, and there's a lot of cool stuff out there! Our love of old technology doesn't exclusively belong to videogames, and old Macs have that certain panache that scratches our collector's itch. We never really expected to be Mac aficionados or anything, but sometimes life can surprise you. Consider this the first vintage piece in our new Mac collection.